…and I’m sorry your weather hasn’t improved overall… 😦 but the Pixie’s are wonderful. Sunshine indeed. Sun yesterday! And today….GASP! Nearly 70 they say! Time for the short pants and fake tan!!! 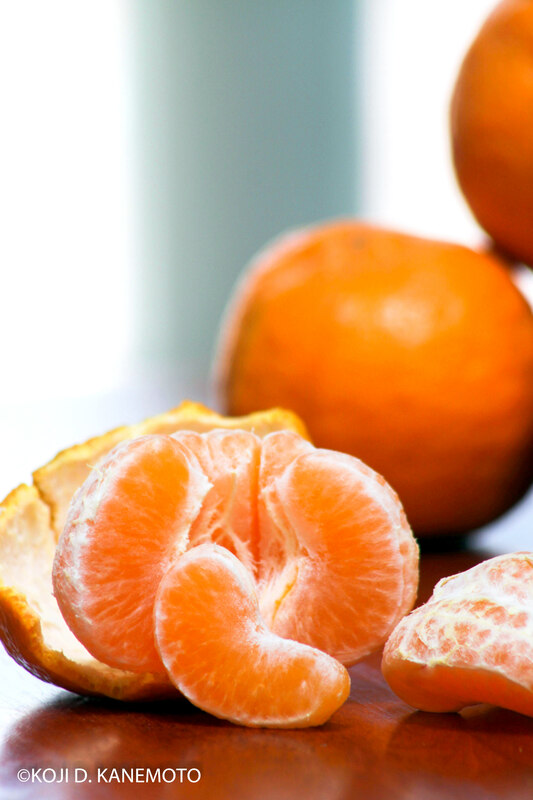 We call them “Cuties” or “Halos” here. I LOVE them! I can eat 3-4 at a time. Okay, my mouth is tingling. I think I’ll go eat one now. Or two, or three. I think you will find the Cuties/Halos to be different than these Pixies, Jan. They are from different seeds/trees than the ones you are referring to. I feel the Pixies are much juicier and sweeter. Their skin is “lumpier” but peel off easily, too! Give them a try! My friend Carol, in Pomona, sent me some right off her own tree, magnificent! You are on my list now, gpcox…. You didn’t share!! LOL I hope you enjoyed them. The water situation here – no matter who is to blame – will likely become severe. I hope next year’s crop won’t be affected. Carol lives closer to you – I’ll have to reprimand her. Her tree was affected by the weather too and she had too many all at once. Those look like they’re sweet and juicy. Never heard of the pixie name. You may be in luck, Debra. Around here, they are sold at Gelson’s or Bristol Farms. You just have to find a store. 🙂 You will be happy you did. No pixies in the UK, satsumas are the best here. Satsuma’s are good, too! They’ve started selling “Sumo” Satsuma’s too! They are gigantic.